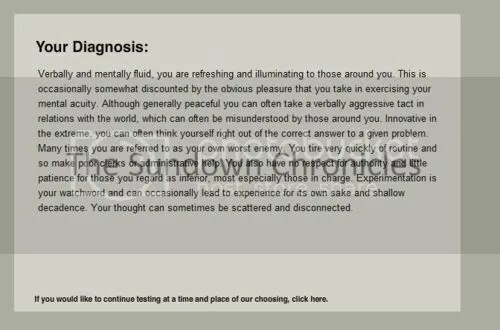 Apparently, according to this online (personality) quiz that I took, I am verbally and mentally fluid… But!!! My thoughts can “sometimes” be scattered and disconnected. Hmmm so I am not that fluid after all! Damn these online quizzes. I refuse to believe that I do not know myself. Come on! A few questions for me to answer and then the damn quiz already knows me? WTF!